Deleting a Transaction removes it from Paperless Pipeline permanently. Master admins have the ability to delete transactions. Short version: 1) Open the transaction. 2) Click the "Delete this transaction" button at the bottom of the page. 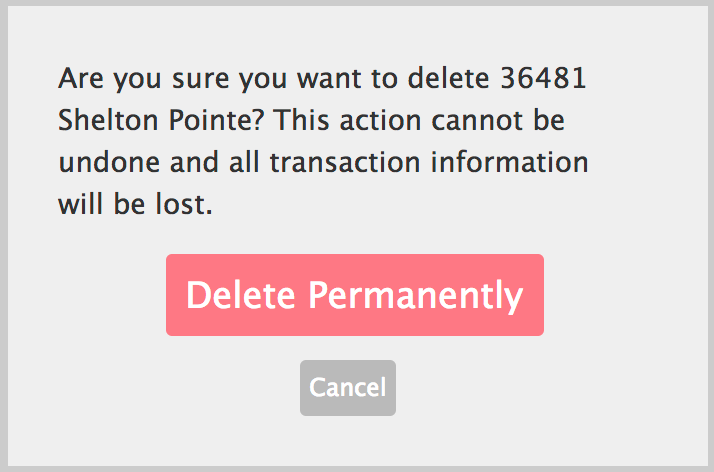 3) Confirm the permanent deletion of the transaction by clicking [Delete Permanently]. Confirm the permanent deletion of the transaction by clicking [Delete Permanently].